The recent Lake Fire and California drought don’t have to put a damper on your Fourth of July plans. Big Bear locals and visitors can look forward to lakefront fireworks and Independence Day feasting. Although we discourage personal use of fireworks, the LA Times announced that 30 minutes of non-stop fireworks can be seen over Big Bear starting at 8:45 p.m. — referring to the show as one of the best around. After all, what’s Fourth of July without fireworks? 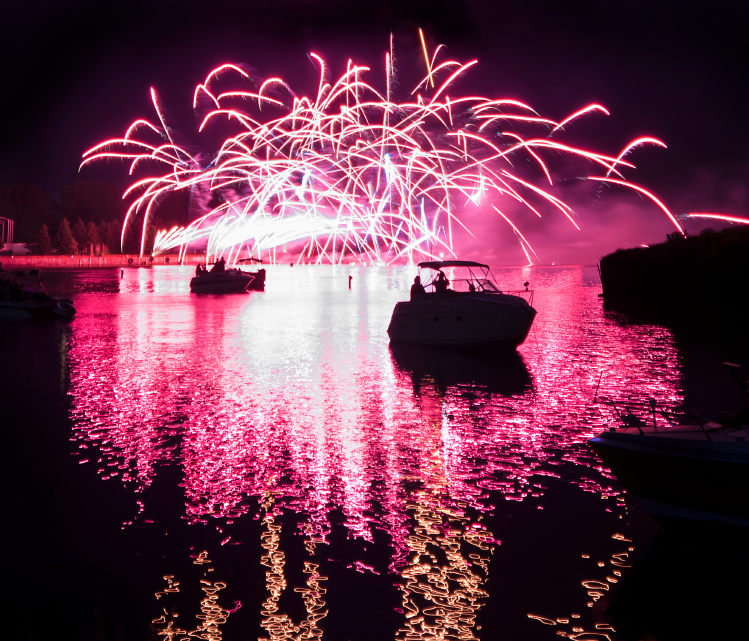 Enjoy lake front fireworks on Big Bear Lake this 4th of July, starting at 8:45 p.m.
From desserts to hot dogs, you can still enjoy your favorite Fourth of July food while avoiding fire risks created by the drought by preparing dishes inside, rather than using a grill or campfire. Although many of our cabins come equipped with a kitchen, Big Bear Frontier guests are encouraged to also bring crockpots for preparing food indoors. Need recipe ideas? 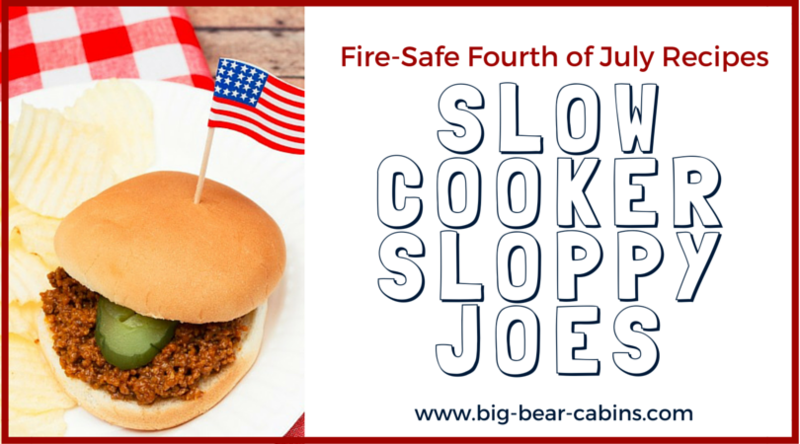 Try our five favorite “Fire-Safe Fourth of July Recipes,” below. 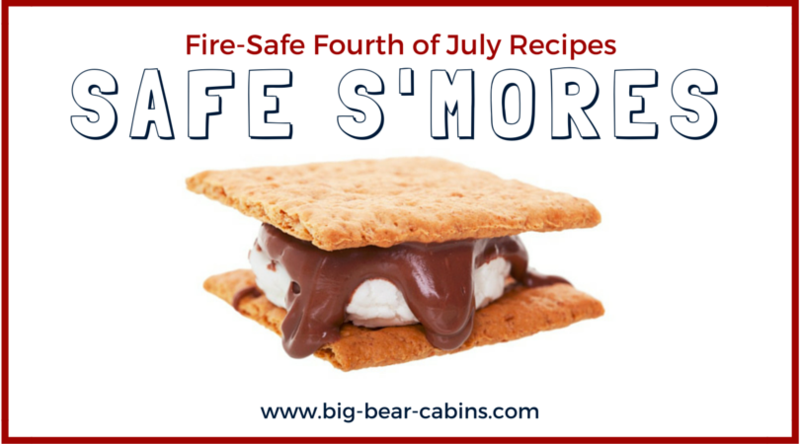 Fire-Safe S’mores to cook in the microwave or oven. Try adding local flavor to your s’more by heading to North Pole Fudge & Ice Cream Co. for freshly made milk chocolate, located in Big Bear Village on Pine Knot Avenue. Move your hot dogs from the grill to the oven. 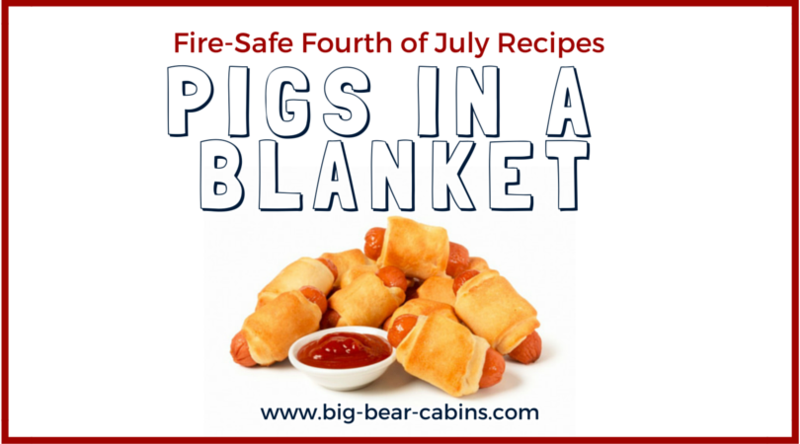 Dress them up wrapped in cheese and refrigerated dough for a classic dish known as pigs in a blanket. Bake for 20-25 minutes at 350 degrees F. Then, serve with all your favorite condiments! Remix the classic hot dog by making pigs in a blanket this 4th of July. Blueberry stars and strawberry stripes are the perfect way to celebrate Independence Day using Pillsbury’s Easy Fruit Pizza Recipe. Decorate using patriotic colored fruits and serve to friends and family. 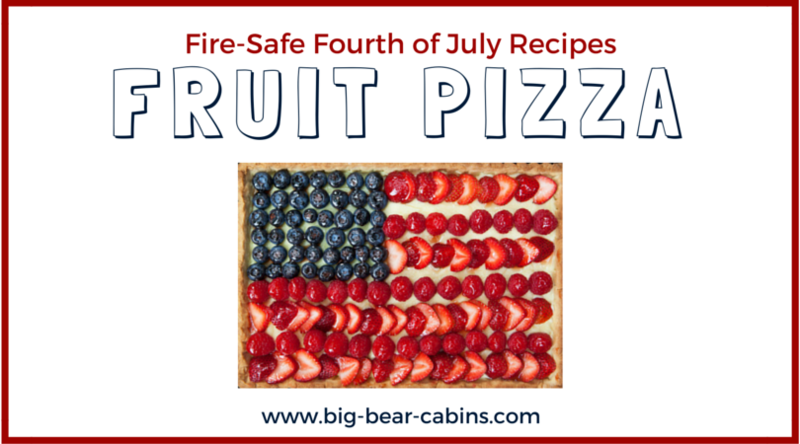 Celebrate Independence Day with a Fourth of July Fruit Pizza. Instead of burgers on the grill, mix things up with mouthwatering Sloppy Joe Sliders prepared in the crock pot. All you need is a pound of ground beef a 1.15 oz can of Manwich cooked on low for 8-10 hours or high for 3-4 hours. Ditch the grill and hamburgers! Make slow cooker Sloppy Joes this 4th of July. 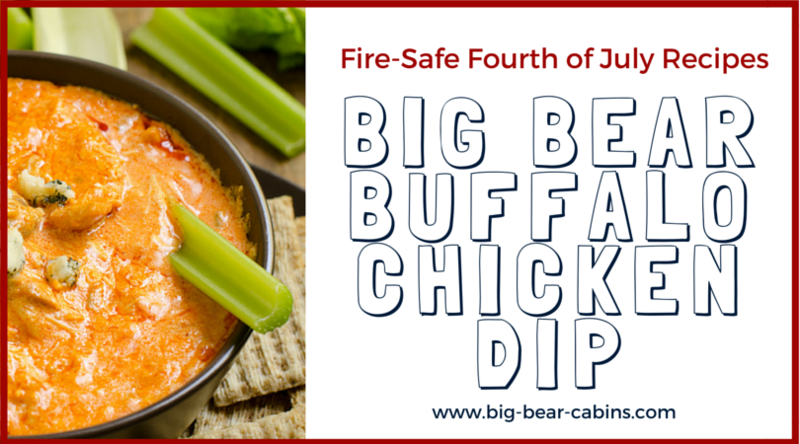 Prepare Big Bear Buffalo Chicken Dip in the crock pot for an explosion of flavor and great holiday appetizer. Cook on low for 4 hours or high for 2 hours. Then serve with chips, crackers or baguettes. With SOLD OUT accommodations, we are looking forward to celebrating Fourth of July with a full house of patriotic guests at Big Bear Frontier. Post your Fire-Safe Fourth of July Dishes on Instagram, Facebook, Twitter and Pinterest, and don’t forget to tag us. If you are staying with us this weekend or would like to make reservations, please contact us at (800) 798-3960. Gallery | This entry was posted in What to see and do. Bookmark the permalink.